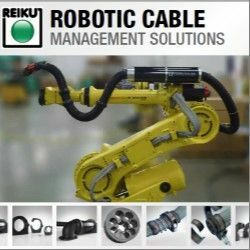 10/16/14, 01:22 PM | Industrial Robotics, Unmanned & Other Topics | Motion Controls Robotics, Inc. The new high-resolution video system provides the ability to view all battlefield lasers during day or night operations. ³KEECKER is a totally new type of computer entirely designed with a collective and immersive digital experience in mind. The Game Changer Awards, produced by Robotics Business Review, honor the products and innovators pushing the robotics industry forward in critical areas. Neya Systems has successfully integrated its UxAB autonomy hardware and software with the QinetiQ North America (QNA) TALON V platform.